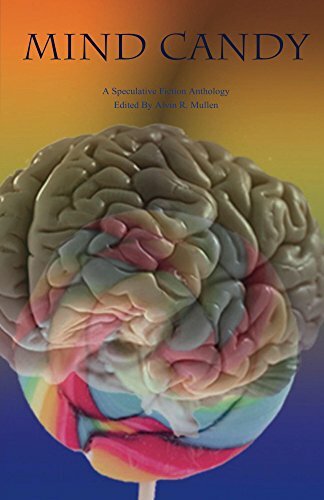 This anthology features my story Buddy System, which explores the territory where quantum entanglement collides with human and emotional entanglement. Mind Candy is a collection of speculative fiction around the theme of: What if the mind, memories, thoughts didn’t work they way we think they do? What if we had to share our thoughts? What if the land itself manipulated your thoughts? What do robots think? Twenty stories with settings from the world of insects to the vast reaches of space, by authors that are willing to take on these questions and many more. This book is available from Amazon here. In 2018, this book won an award from the Florida Authors & Publishers Association (FAPA). Mind Candy received the silver medal in the Young Adult: Science Fiction/Fantasy category. For more details on FAPA’s page, click here. Read on for the full list of who contributed to this amazing collection. There are some well-known names on this list! The original cover was replaced with the one you see at the top of this page. If you bought the book on its first run, the following cover is the one you’ll remember. Click here for an alphabetical listing of all of my professionally published short stories.